Ahead of the release of Kunal Kemmu, Sandeepa Dhar's ZEE5 original Abhay's episode 5 and 6, check out some behind-the-scenes action here. In a departure from his usual comic and light-hearted roles, Bollywood actor Kunal Kemmu made his digital debut in the ZEE5 original Abhay. The web series features Kunal as a Special Task Force Abhay Pratap Singh based out of Uttar Pradesh. Besides Kunal, Abhay also stars Isi Life Mein star Sandeepa Dhar. Four episodes of Abhay have been released so far and fans of the series have only been left with wanting for more. Ahead of the release of next episodes, check out an exclusive sneak peek from episode 5 of Abhay. Following the inverted detective format, ZEE5 original Abhay has all the ingredients to keep you hooked, booked and intrigued. So far Abhay has solved cases involving cannibalism, dating app scandal, cyanide poisoning and also a triple murder involving a psycho killer. But the upcoming episode 5 and 6 of the digital project seem to shift the focus on Abhay’s personal battles. The episodes shall also mark the entry of actor Mukesh Rishi, who is renowned for playing a villain in countless Hindi and South Indian movies. Will his character add to Abhay’s troubles? Keep watching the web series to find out! Bollywood actor Mukesh Rishi is set to enter ZEE5 original Abhay to brew more trouble for Kunal Kemmu’s character Abhay Pratap Singh. In an exclusive still from the incoming episodes of the web series, we see Mukesh’s character supposedly blackmailing Natasha (Elnaaz Norouzi). Going by the look of this still looks like things are about to take a turn for worse in ZEE5 original Abhay. Special Task Force officer Abhay Pratap Singh (Kunal Kemmu) is seen pointing a gun at some goons who have supposedly kidnapped Natasha (Elnaaz Norouzi). Does this have to do something with Saahil’s well-being? Rest assured, ghosts of the past are staring Abhay right in the face! 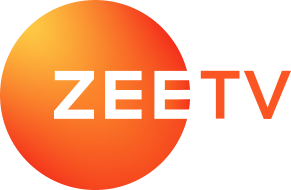 More Trouble For Kunal Kemmu In ZEE5 Original Abhay Episode 5 And 6?